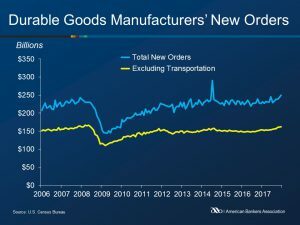 New orders for manufactured durable goods increased 2.9% in December to $249.4 billion, following a 1.7% November rise, according to the U.S. Census Bureau. Transportation equipment drove the increase, growing 7.4% to $87.2 billion over the month. December’s pace was the fastest since June. New orders excluding defense grew 2.2% on the month, while orders of nondefense capital goods slipped 0.1% to $75.1 billion. 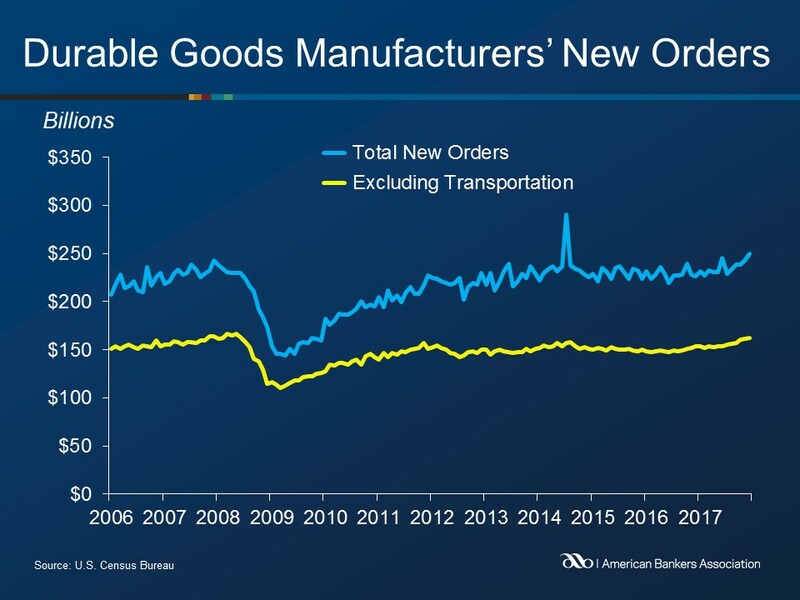 Shipments of manufactured durable goods, rose 0.6% to $246.8 billion. This followed a 1.3% increase in November. Inventories of manufactured durable goods continued to rise, growing 0.3% to $406.6 billion. This followed a 0.2% November increase and led to growth in seventeen of the last eighteen months.